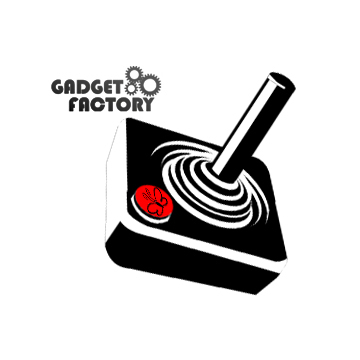 Gadget Factory was founded in 2009 by Jack Gassett with the goal of making fun and interesting Open Source Hardware projects. We are a small, family run business located in Westminster, Colorado. 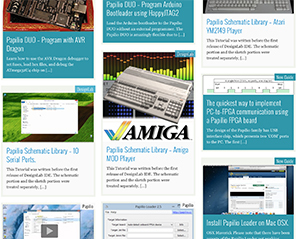 Our main product is the Papilio FPGA family of Open Source development boards. Papilio was developed as a platform to make cool Open Source projects with and has turned into a full blown development platform over the years. To learn more about the birth of and motivation for the Papilio Platform please take a look at a presentation done at DesignWest 2013 - The Papilio Story. Jack Gassett is the founder of Gadget Factory and an Aspiring Inventor. He is the designer of the Papilio Platform boards and co-designer of the Open Bench Logic Sniffer. Dhia Khaladi handles the day to day operations and business tasks for Gadget Factory. He is also responsible for all of the awesome website design and services availlable at Gadget Factory. Without the help from these wonderful people Gadget Factory would not exist. Alvaro Lopes is the creator of the ZPUino Soft Processor that has been a huge and critical piece of the success of the Papilio Platform. He is an extremely talented and prolific FPGA designer and C++ developler. He is always there to help out when we get in over our heads! To learn more about Alvie's work visit his webpage at Alvie.com. Girish Pundlik was there every day at the very start of Gadget Factory. He helped with the early Papilio designs and the initial Papilio Wing designs. He was also responsible for much of the early software such as the Papilio Loader and Arcade Blaster. He currently sells Papilio Hardware to the Indian market through the Gadget Factory India store. Kalesh Weaver is a former business partner and childhood friend of Jack Gassett that worked with us for a year and was instrumental in helping to grow the business. He is currently working on other projects in sunny southern California.